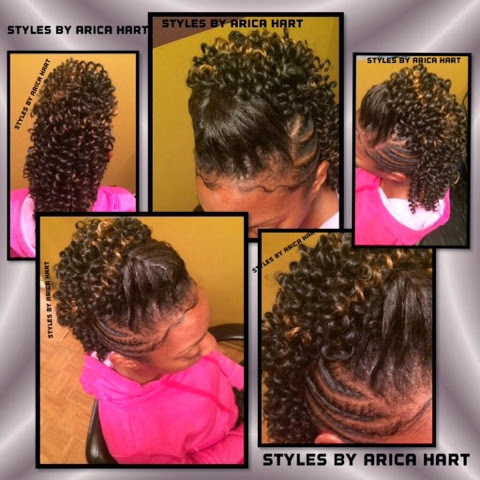 This fabulous lady is styling and profiling a Mohawk with a lifted braid flowing down the front center of her crown. She has a touch of twist on the side with straw-like curls draped down the back center of the head. 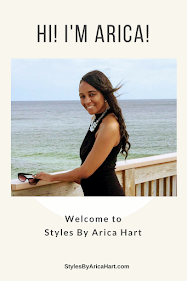 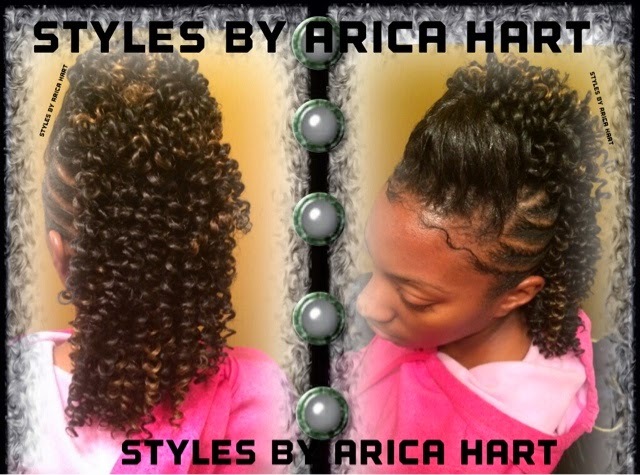 She is ready to step out into society with that go get it mindset and a hair styles by Arica Hart.